100 years today saw the start of The Battle of Pilckem Ridge which was the opening attack of the The Battle of Passchendaele which is also known as the Third Battle of Ypres in the First World War. 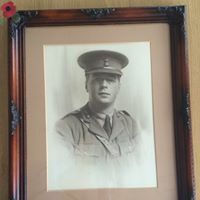 One of the founding Partners of Ungoed-Thomas and King – Lieutenant David King – a Royal Welsh Fusilier was sadly killed on this day in the same battle that also saw the death of the poet Hedd Wyn and hundreds of thousands other brave soldiers. His death was reported in the Carmarthen Journal on 10th August 1917 and a memorial service was held at the English Baptist Chapel on the 19th August 1917. It can be a huge concern, if we are responsible for someone who is very dependent upon us, as to what will happen to that person, as far as taking care of their financial and other needs is concerned. First and foremost, there is the whole question of who will look after them, how they will do so and where they will live, but on top of this there is the money and property issue – making sure there is a home available and money to support the dependent person, while in the process not affecting any state benefits to which they may be entitled. In many cases, it can be sensible to put these arrangements in place in your lifetime, so that your loved one is set up in their own home securely and comfortably and the finances are in place, with any potential tax on making the arrangement having been dealt with. It is where proper professional advice comes in, since on the one hand a flexible Trust structure will be needed if welfare benefits are not to be affected and on the other hand technical knowledge will be required if the Trust is to hold a large sum of money or property value (over £325,000) and Inheritance Tax is to be avoided. It is also vital that this Trust is run properly, to avoid it being open to unnecessary attention from the tax and funding authorities. Even if these arrangements are to be put in place after your days and therefore via a Will, it is still very important that the right level of advice is obtained so that the Will is correctly drafted, again to steer the correct course between being able to support the disadvantaged person as and when required, while at the same time not upsetting the state benefits available to them. Here at Ungoed-Thomas & King we have significant experience not only of setting up these arrangements, both in the lifetime and via Wills, but also in running the Trusts afterwards, advising on what can or cannot be done without disrupting benefits, ensuring regular Trustee meetings and the proper recording of actions by the Trustees, while taking care of any tax requirements at the same time. At any given time, we have a number of Trusts running through the office. Two members of our Department are full members of the Society of Trust and Estate Practitioners. Our job is to put arrangements in hand for your loved one to ensure as far as possible that you have the peace of mind that everything is in place to provide for and support them. Do please get in touch on (01267) 237441 – Option 2 – if you wish to find out more about this or if you would like a copy of our booklet on providing for vulnerable persons. Are you considering purchasing a property with a private water supply? If so, what does this mean for you? Do you need a Cohabitation Agreement/Living Together Agreement? A Cohabitation Agreement/Living Together Agreement is a formal written Contract/Deed entered into by people who intend to live together. A Cohabitation Agreement is a legally binding document which sets out what each person has and will contribute to the household/relationship. It also provides a frame work of how the assets individuals had before they lived together and those that they acquire during the time that they live together should be dealt with if the relationship was ever to breakdown. Why would one be needed? If you intend on living together and have no desire to marry, it is important that you know that the law will not afford you the same protection if your relationship was to ever breakdown. In situations where there is a long standing relationship, coupled with dependent children, an individual could be faced with having to walk away from the relationship with very little financial security which is in stark contrast to what the situation would be if they had been married. A Cohabitation Agreement can assist in setting out exactly what each person expects if their relationship was to ever breakdown. If one partner moves in to another’s home and a relationship later breaks down, that person could find themselves in a situation where they are not entitled to claim anything in relation to the home, even if it is the case that they have been contributing towards the mortgage payments or general upkeep of the property. Similarly if joint purchases are made by partners who are living together, if there is no agreement in place as to what should happen to those joint purchases if the relationship was to break down, an individual could find themselves in a situation where they have to spend significant legal fees in resolving a dispute in relation to the same. Providing that the individuals entering into the agreement were open and honest in relation to their finances and assets at the time that the agreement was entered into and that they each had the opportunity of seeking independent legal advice, it is highly likely that a Court would enforce a properly drafted Cohabitation Agreement. Generally for a Deed to be legally enforceable it must have been drafted and executed in the proper manner and it is for this reason that it is always best that each person is represented when dealing with a Cohabitation Agreement. If a relationship was to breakdown the Cohabitation Agreement would stand as a legal Contract and is likely to be enforceable through the Civil Courts. What would a Cohabitation Agreement Cover? 1. How any personal property and household contents brought into the property is to be dealt with upon separation. 2. What is to happen to any motor vehicles, either owned solely or jointly. 3. How any joint bank accounts are to be dealt with upon separation. 4. Who would be responsible for any joint liabilities e.g. loans or further finance agreements. 5. Who would be responsible for the payment of living expenses to include any mortgages and bills. 6. What is to be agreed in relation to each party’s pension rights. 7. Provision for life insurance in the interests of protecting one another. The agreement can also include tailored clauses in relation to the agreement as to what would happen to any pets and the level of support that would be given in relation to any children of the relationship. What happens if there is no Cohabitation Agreement? Essentially unmarried couples do not have any automatic or guaranteed rights to any share of the others financial resources on separation. In the event that you require further advice in relation to Cohabitation Agreements, please contact our Matrimonial Department on 01267 237441. We can offer a 30 minute free consultation and a fixed fee quote for a tailor made Cohabitation Agreement that will best safeguard your position.